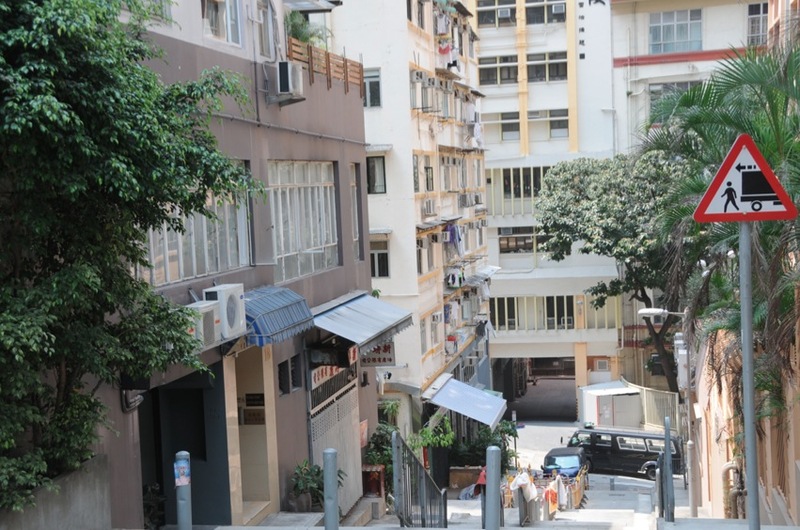 One area that I really like in Hong Kong, is Sheung Wan. If I was not living in Discovery Bay, I might consider living in Sheung Wan, which is in the north-west of Hong Kong Island, between Central and Sai Ying Pun. Administratively, it is part of the Central and Western District. The name can be variously interpreted as Upper District (occupying relatively high ground compared to Central and Wan Chai), or Gateway District (perhaps a reference to the location where the British first entered and occupied Hong Kong). 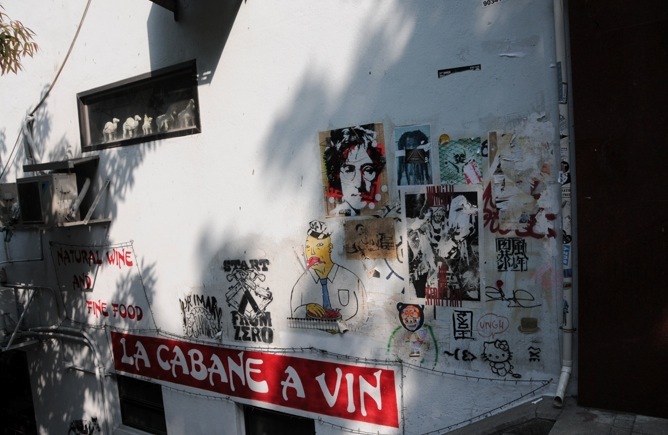 I really like it because it is quirky, with lots of little streets, quieter areas, little shops, boutiques that sell random stuff even at late hours of the day/night, small hole-in-the-wall food outlets and a mix of old/young and Eastern/Western people. There are hardly any big shops (no shopping malls for once!) and only a few offices in the area. 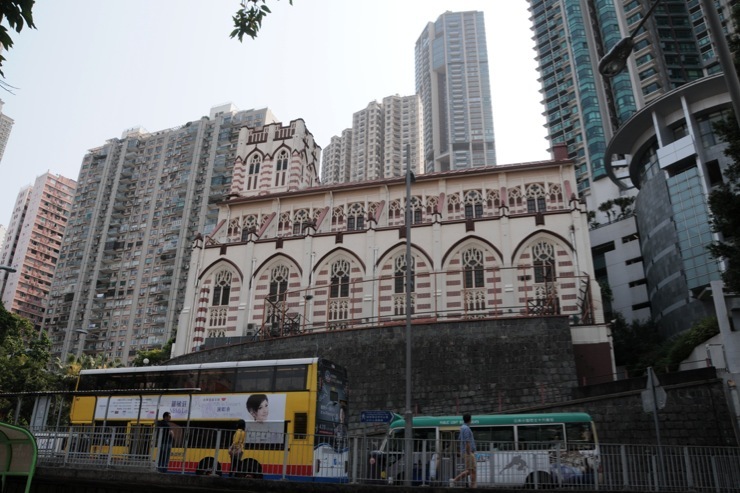 At the end of Sheung Wan, already in the Mid-Levels lies the striped Hop Yat Church. 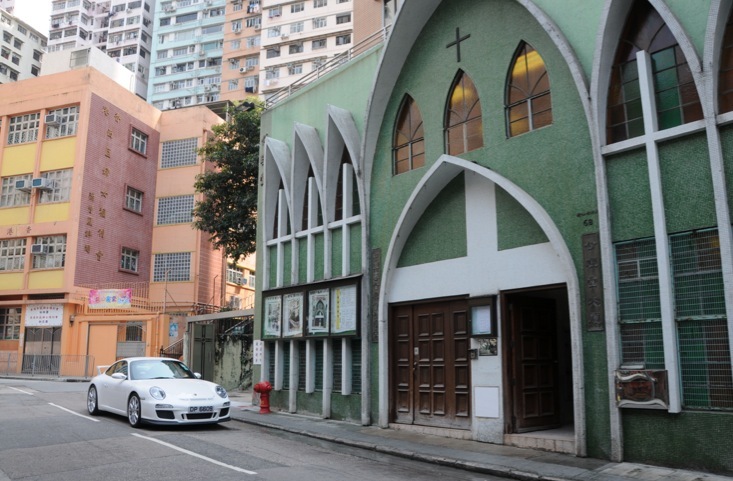 The church was founded in 1862 and located at No.2 Bonham Road. This one was built in 1924, as a stone in the outerwall says. 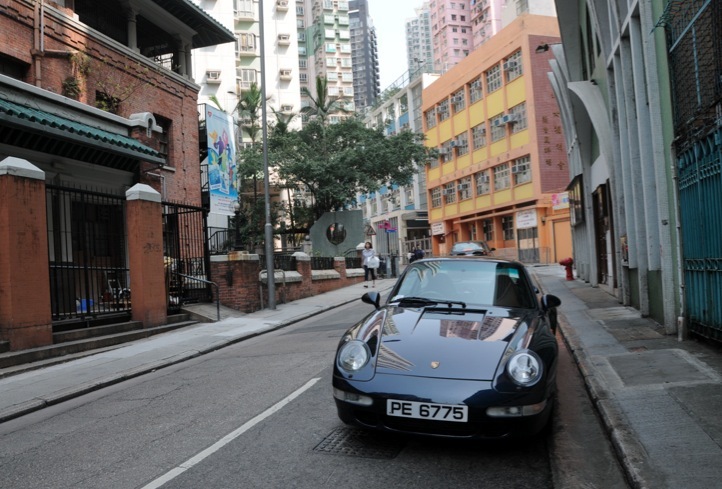 And of course, it would not be Hong Kong if there would not be a contrast between rich and poor – with a Porsche parking next to the YMCA. That’s not the only big car I’ve seen on the streets of Sheung Wan. 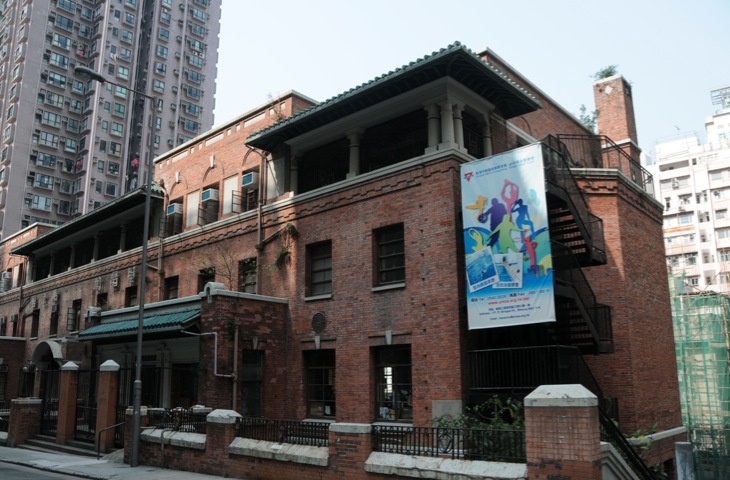 Opposite the red brick wall of the YMCA is a bright green church: The Church of Christ in China China Congregational Church. 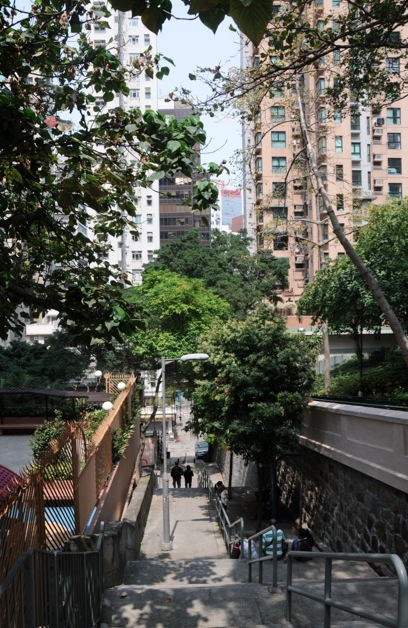 From there on are steps going up to Mid-Levels or down to Hollywood Road and the Man Mo temple. 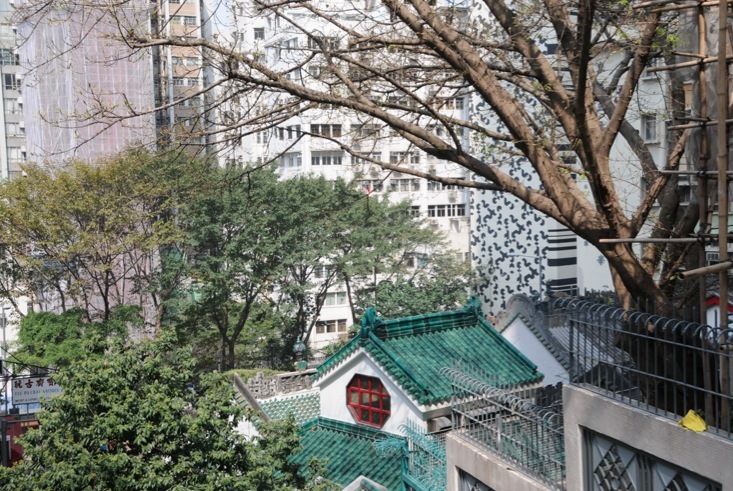 Of course, it can be really crowded, especially if you happen to walk through Hollywood road and visit the Man Mo Temple, but there are so many quiet areas. 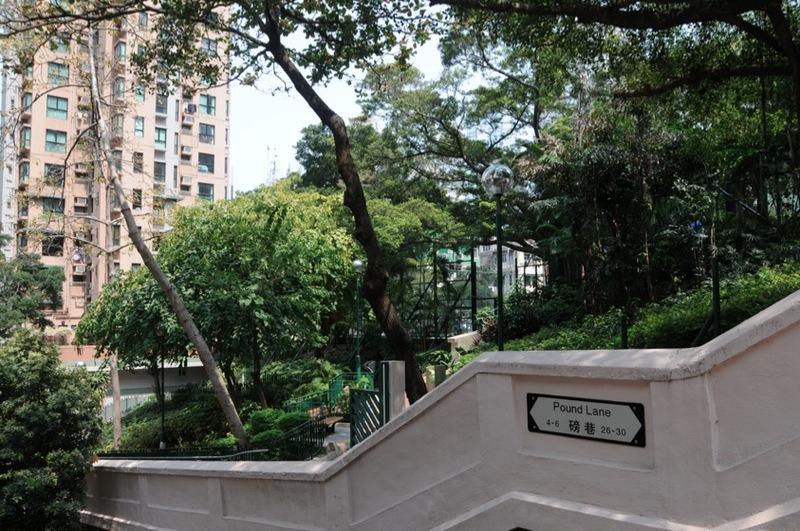 Especially around Hollywood Road Park and if you walk north of it.